Hi everybody! It’s been a long while since I’ve posted. In fact, a lot of people have forgotten this comic is here. But I’m slowly getting back into my art again, when my newborn gives me a few minutes here and there. 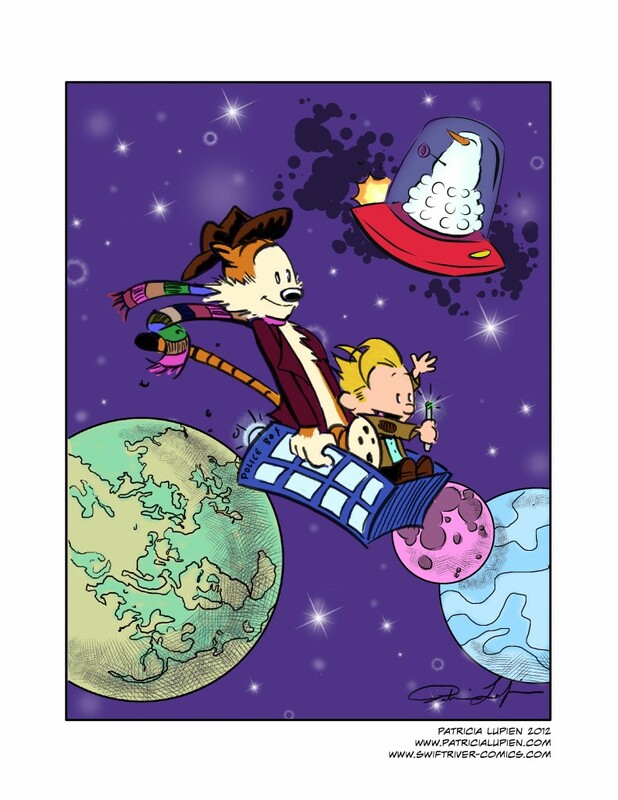 This homage had two purposes, other than drawing Calvin and Hobbes as the Fourth and Eleventh Doctors. One, I needed to draw again, and this was good practice. Two, I’m trying out Manga Studio and comparing it to Photoshop in terms of comic creation. Like anything, I’ve found there’s a bit of a learning curve. Not so much on how things work, but where all the tools are. I’m sure once I figure things out, it’ll be much easier.